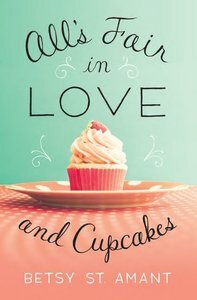 She's written a recipe for her future, but does it include love?Katherine 'Kat' Varland is a small town girl, born and raised---and every day, her dreams of owning her own bakery get further away. She has no money, and the cupcake shop she bakes for, Sweetie Pies, seems to get smaller and smaller. Kat might be the sweetheart of Bayou Bend, Louisiana, but she longs to make a name for herself where she can flourish as Kat---not as the girl baking someone else's recipes.As head coach for the Bayou Bend championship high school football team, Lucas Brannen is used to winning---everything except his best friend's heart. He finally gathers the courage to make a gesture and show Kat his feelings by signing her up for the popular reality TV show Cupcake Combat. But his plan backfires after he realizes the cash prize for the winner also includes a one-year baking contract at one of New York City's most famous pastry houses.The situation grows sticky when Kat enlists Lucas's help as her baking assistant for the show. Lucas is torn between helping Kat live her dream and selfishly wanting to keep her in town. His plan has always been a dozen acres of land and a farmhouse in Bayou Bend---but Kat is blinded by the stars in her eyes.Will Lucas and Kat risk their chance at love in order to achieve their individual dreams? Or will they find that sometimes the most delicious happily-ever-afters begin and end in the same place? About "All's Fair in Love and Cupcakes"